Beautiful traditional berber kilim from the Atlas Mountains. Early- or Mid-20th century artwork. 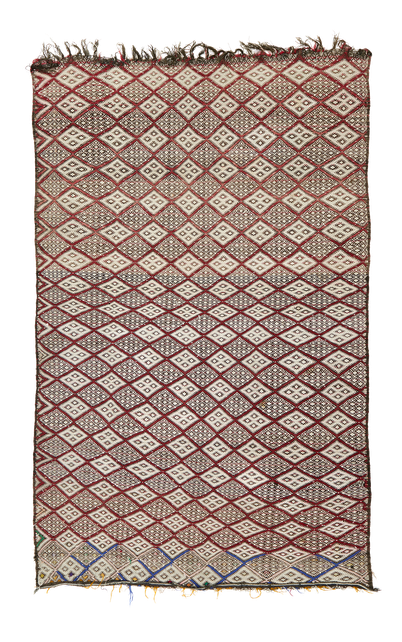 Fine weaving, not to be compared with more recent, coarser examples. 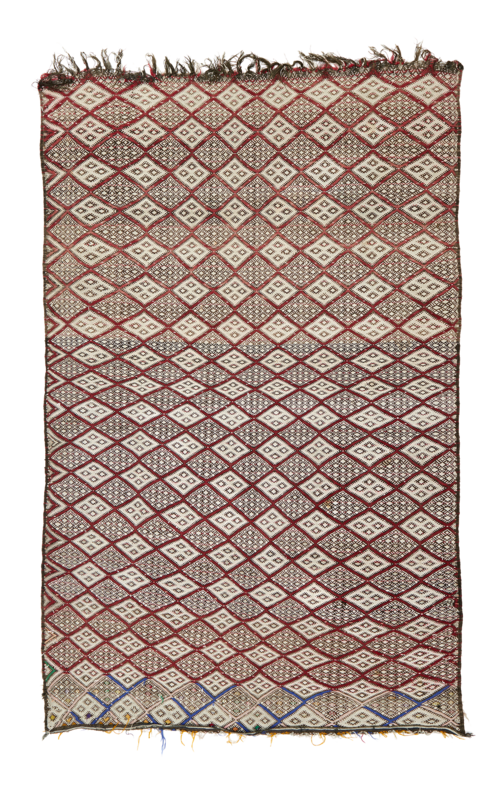 With natural white wool and with black and red rhomboid motifs. Irregularities in the colours (red turning into blue) make it even more interesting. Practical size.